As a Research Architect at Salesforce, Kathy uses her skills in HCI, ethnography, I/O Psychology, and experimental design to create innovative experiences across Salesforce. She is particularly focused on the Service Cloud, process automation, and applying artificial intelligence, chat bots, and machine learning to help companies and end users meet their needs quickly, easily, and beautifully. 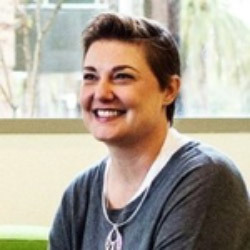 You can read about her research on the Salesforce UX Medium channel (https://medium.com/@kathykbaxter). She received her MS in Engineering Psychology and a BS degree in Applied Psychology from the Georgia Institute of Technology. The second edition of her book, "Understanding your users," was published in May 2015.